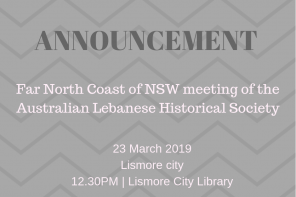 The 4.8 hectare park was Redfern Park was designed and constructed in the 1880s as a typical Victorian pleasure ground and by the early 20th century had become an important place to meet and socialise for local early Australia Lebanese residents, hawker and country business people. Over the last 10 years, the City of Sydney has renewed and upgraded Redfern Park into a modern and comfortable recreational facility while maintaining its late 19th century ambience with sympathetic treatment of the Park’s heritage. It is now a modern park – but it is still easy to imagine Lebanese settlers of the late 19th and early 20th centuries meeting for business or promenading after church on weekends. Redfern Park is a special place for many people, including the Aboriginal people. Long the centre of the Aboriginal presence in the area, it was also the setting for Prime Minister Paul Keating’s Redfern Park Speech of 10th December 1992. It is now regarded by many as a landmark speech that publicly acknowledges to Indigenous Australians that European settlers were responsible for the difficulties their communities faced. The upgrading of the Park was rightly planned to highlight the Indigenous community. 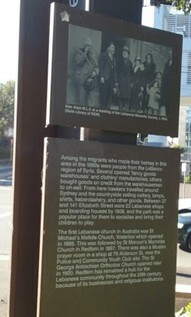 The City of Sydney has installed a sign and bronzed monumental plaque in Redfern Park commemorating the presence of early Lebanese settlers in the area. The sign is located at the Park’s entrance on the corner of Elizabeth and Redfern Streets. The new sign features a photograph of long serving New South Wales Labor politician Alexander “Alec” Alam and a group of people in front of old St Maroun’s Church after a meeting of the Lebanese Maronite Society , c1934 (Image courtesy of the State Library of New South Wales). Among the migrants who made their homes in this areas in the 1800’s were people from the Lebanese region of Syria. Several operated “fancy goods warehouses” and clothing manufacturers; others bought goods on credit from the manufacturers to on-sell. From here hawkers travelled around Sydney and the countryside selling cutlery, lamps, shirts, haberdashery, and other goods. 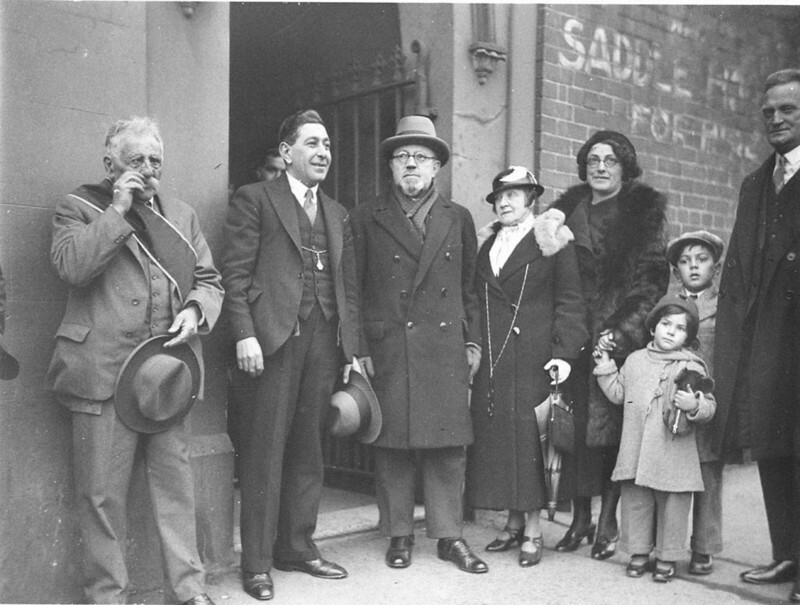 Between 37 and 141 Elizabeth Street were Lebanese shops and boarding houses by 1908, and the Park was a popular place for them to socialise and bring their children to play. 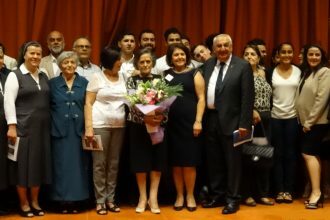 The first Lebanese church in Australia was St Michael’s Melkite Church, Waterloo and opened in1895. This was followed by St Maroun’s Maronite Church in Redfern in 1897. There was also a Muslim prayer room in a shop at 79 Alderson St, now the Police and Community Youth Club site. The St George Antiochian Orthodox Church opened later in 1920. 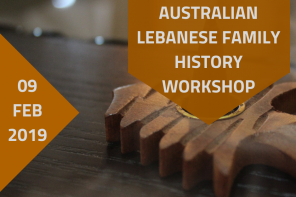 Redfern has remained a hub for the Lebanese community throughout the 20th century because of its business and religious institutions.